Sandakan is definitely a favourite home away from home for Sabahans who live anywhere but, of course, Sandakan. Known as "Little Hong Kong" since it was here that many early Chinese settlers landed from Hong Kong, it is also known as "Food Heaven" because OH MY GOD. Charlotte and I went on a short 2 day 1 night road trip with one goal in mind: Seafood Bak Kut Teh! From KK city, it's about a 5 - 6 hour drive through Tamparuli, Kundasang, Ranau and Telupid, before you reach the junction to Sandakan, Lahad Datu and Tawau. Along the way are the most beautiful roads, and Char's favourite bridge over Kinabatangan River! 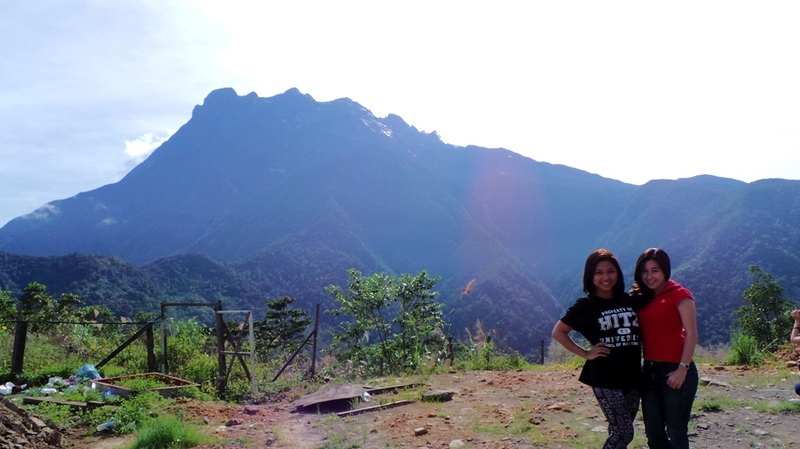 and of course, the best weather in Sabah! We stayed in Four Points by Sheraton, which is situated right in the middle of town on the harbour, and gifts you with an obstructed view of Sandakan Bay and the islands beyond. If you haven't guessed by my other posts, I LOVE sea views! Upon arriving in Sandakan, we were starving so we dropped by Brew Cottage at Prima Square for a quick bite before continuing another 4 miles into town for a tour of the hotel. As we were craving local food, we only had one meal at The Eatery @ Four Points, and that was a beautiful breakfast spread with the best view, which Char and I took full advantage of! Hey, how could we not selfie in this gorgeous light? Where to go in Sandakan? What to eat in Sandakan? Ba Lin Rooftop Cafe @ Nak Hotel - great for photos! is perfect for both business and leisure. For those who would like a quiet holiday, do try to avoid school holidays as Four Points is a family favourite. I would love to go back during low season and try capture that gorgeous sunset over the South China Sea..
*Four Point by Sheraton photos by Charlotte Fong. For more amazing images, check out her Instagram HERE! I always look forward to going out. A good tip would be to look out for those places with interesting concepts. This venue Houston is pretty amazing. I came up here with a friend. The place was spacious and food was great.